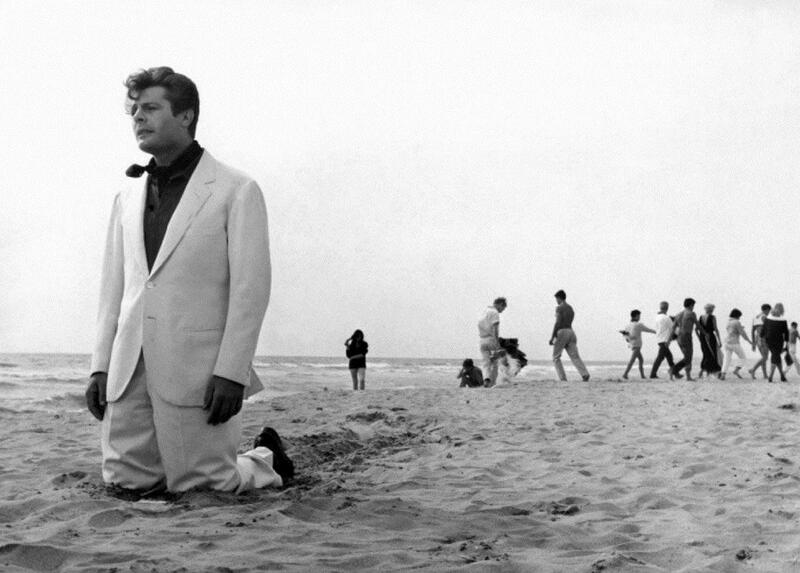 whatever in Fellini's ending still bore the traces of a mythic residue -- the sea as some primordial element, as the place at which the human and the social confront the otherness of nature -- is here already long since effaced and forgotten. That content has disappeared, leaving but a faint aftertrace of its original formal connotation, that is, of its syntactical function as closure. At this most attenuated point in the sign system the signifier has become little more than a dim memory of a former sign, and indeed, of the formal function of that now extinct sign.